The three best for me are Norma, Puritani and Beatrice di Tenda. Norma, Puritani and I Capuleti e i Montecchi. The choice of third was tough though. It went for I Capuleti e i Montecchi since I was much into it recently and some of it's best themes still echo in my mind. So it's one of those "today it's this one, but another day could be other" kind of votes. For me however, as much as I love Il Pirata or La Straniera, my three choices are engraved in stone. Similar, except that I place I Capuleti e i Montechhi ahead of I Puritani, which is the fourth one for me. Revealing my lack of knowledge again . . . Voted for the only two with which I'm familiar: Norma and I Puritani. Well, I guess Norma and Puritani will easily being the most preferred ones. They are absolute masterpieces. Last edited by Ann Lander (sospiro); January 10th, 2018 at 12:59 PM. We can add a new twist to these polls that would add to discussion.....pick three and also list your favorite recording of each. I like your style Schigs, lets do it. 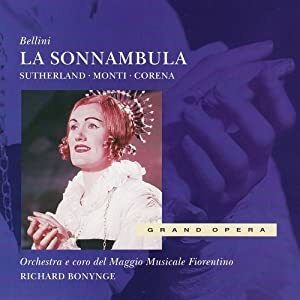 Yes, after Bellini I think we can close the "preferred opera by" series and start to find our choices for the most voted pieces, but in this case it wouldn't be La Sonnambula but, rather surprisingly for me, I Capuleti e i Montecchi. Bellini was talent. Pity he died young. Aother Mozart. I voted I Puritani. I Puritani by a million miles. The others are all on a par so couldn't choose. Well, it seems now Puritani is getting the upper hand.